With a fresh, modern approach to foot care, Podantics offers a pedicure experience unlike any other. Unlike pedicurists, our podiatrists have the ability to safely remove the dead and unwanted skin from your feet to achieve the silky smooth feel you’ve always wanted. Performed by a podiatrist, our Medical Pedicures are the ultimate in luxurious pedicure styled foot care, for both healthy feet and those in need of a little extra care and attention. We offer safe nail care, intense moisturising skin treatments and skin care solutions for your feet including the safe removal of hard skin, cracked heels or callus with all the pampering of a pedicure. Unlike standard pedicures, our treatments are suitable for high risk people, diabetics or those at risk of foot problems such as those currently undergoing chemotherapy. Our Signature Pedicure is designed to make even the most weary feet flauntable again in style. 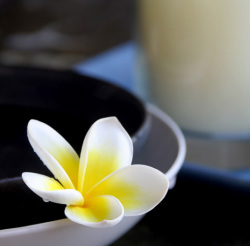 Our most popular spa treatment and Signature treatment includes our custom blended foot bath, scrub, nails trimmed buffed and filed, callus removal, intense moisturising treatment, extended foot massage. Not only do we offer a luxurious experience to leave your feet looking and feeling fabulous, but we also provide you with the right tools to make sure your feet stay happy and healthy.